Known variously as pay-for-performance, performance-related incentive scheme and so on, they all have following features in common: they are variable part of the pay; are awarded each year; amount is related to performance; apply to individuals and teams; exclude any automatic pay increases and various types of allowances. We also begin by listing areas relating to performance-informed-pay where there seems to be a greater agreement among students of government. First, there is consensus that incentives matter in government just like they matter in all walks of life. However, incentives need not always be financial incentives. In fact, non-financial incentives can and have been equally effective in public institutions. As with any generalization, there are exceptions and some people are indeed driven by their commitment. Individual human beings are the building block of an institution. Institutions, public or private, are therefore ultimately shaped and driven by humans (at least thus far). Humans, it has been established, instinctively seek pleasure and avoid pain. This so-called pleasure principle, also known as Lustprinzip in German, and many books have been written on this topic since Freud made it famous. A performance information system ensures appropriate information, in a useful format, is available in a timely manner to stakeholders. A performance evaluation system is meant to convert, distill and arrange this information in a format that allows stakeholders to assess the true effectiveness/contribution of the organization. Finally, no matter how sophisticated the information system and how accurate the evaluation system, performance of any organization can improve in a sustainable manner only if it has a meaningful performance incentive system. A performance incentive system links the performance of the organization to the welfare of its employees. This allows the employees to achieve organizational objectives in their own self-interest. These three sub-systems are as relevant for the public sector as they are for the private sector. Within the public sector, these systems are equally important for Government Departments and state-owned enterprises or public enterprises. While a truly effective Government Performance Management (GPM) system must include all three sub-systems, often most countries tend to focus on only one or two of the sub-systems mentioned above and then lament, expectedly, that their government performance management system does not work. The third area of agreement relates to a widespread perception that performance incentive schemes in government have not worked well. Let us examine evidence from two of the largest democracies — USA and India. Pay for performance was tried by both the Carter and Reagan administrations and subsequently abandoned. The 1978 Civil Service Reform Act created the Office of Personnel Management (OPM) with a mandate for “merit pay.” The latter was not implemented well and where it was implemented it created a backlash among citizens. In 1984 Reagan Administration introduced the Performance Management and Recognition System (PMRS) but it lasted only till 1991. In India the Seventh Central Pay Commission recommended the “introduction of performance-related pay for all categories of central government employees” in its report to the Government of India on November 19, 2015. In making this recommendation, it merely reiterated and reinforced recommendations made by previous Pay Commissions in 1987, 1997 and 2008. In each case, the government of the day approved the performance-related incentive scheme (PRIS) but failed to implement it. Thus, successive governments in India have supported the idea that holding governments accountable for delivering on promises and incentivising government employees appropriately is a fundamental requirement of good governance, yet they have failed to implement a pay-for-performance scheme. Similarly, OECD and UK studies have also found that the pay-for-performance schemes have not quite met the expectations. The real question is why they have not succeeded? Any performance-related incentive scheme has essentially two parts. One part measures the performance of the entity (organization, team, or individual), and the second part links its performance to financial incentives. The main problem bedevilling pay-for-performance schemes relates to measurement of organizational performance. In the private sector, there is a bottom line for organizational performance – usually profit or profitability. 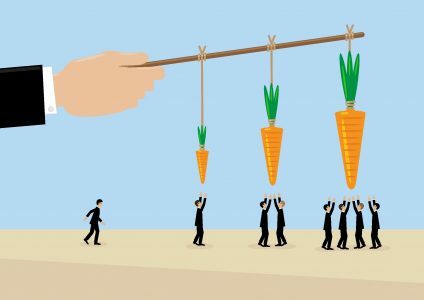 In the government, since there is no clear, measurable bottom line, most of the pay-for-performance schemes are related to partial indicators (individual performance, performance of a sub unit, some desirable activity, etc.). Thus, while such schemes create positive incentives for improving these sub-indicators, the overall organizational performance often remains unaffected. It is akin to incentivising rearranging the chairs on Titanic. First, governments must begin by linking pay-for-performance to overall performance of the organization. This requires creating a bottom line in the government using the methodology discussed in one of my earlier columns. Second, the average of the performance score for individuals in an organization cannot be more than the organizational performance. For example, if the organization gets a score of 80, then while one individual can get a score of 100 but another must get a score of 60 to make the average score equal to 80. If this is not done, then we will find ourselves in the familiar government territory where everyone gets an excellent rating of 100 but the organization is rated only 60. Finally, if you want to make this a fool proof scheme, you should link performance bonus to cost savings. Thus, government employees get paid only if they perform well and save cost. Making this pay-for-performance scheme self-paying. This is what has been agreed in India.